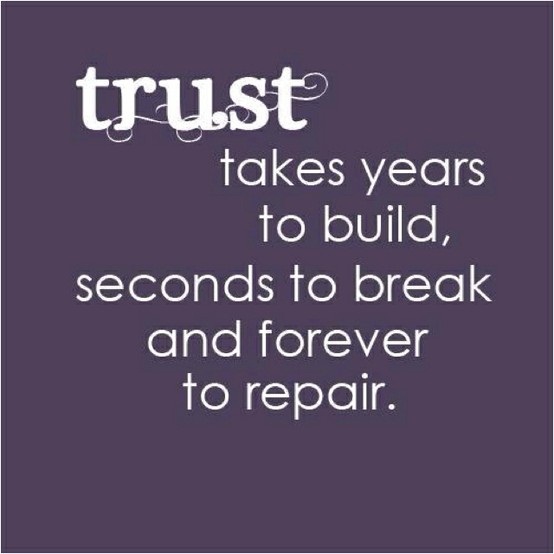 As the quote goes, it takes years to build trust but only seconds to break. And that is very true when it comes to eating disorders..... Once you do something wrong it is like all trust is gone. Which can be a positive thing though as it means that those around you care for you and just want your best so they make sure that you eat what you are supposed to. But at the same time that mistrust can last a little too long and can irritating when you feel healthy but no one trusts you. Also, having someone watch you each time you make a meal or eat can get extremely furiating after a while. However the first thing to remember is that your family care about you. They do it because they are worried about you and want you to eat... you ruined the trust and now they still worry. It's also important to ask yourself, are you actually healthy? Can you eat all your meals when no one is watching your or no one prepares the meals for you.... Because sometimes you want everyone to back off just so that you can return to old ways, and then that will lead to even more mistrust. I would begin with communication with your family. Tell them what bothers you and ask if they can either be less obvious about their staring or maybe to begin to trust you more. ... Because in the end, you have to be able to eat and take care of yourself. You can't have someone watching you eat or prepare all your meals forever. Maybe begin with you making and eating breakfast on your own each day and if that works out maybe you can make lunch or dinner a few times a week . Also communicating with your parents and telling them that the food comments aren't necessary. Food comments can be both triggering and irritating but you also have to learn to deal with them, because many many people comment about food or how a person eats or what they eat. Try to tell them why it triggers you and what they can say instead, or not say anything at all. If it will help you that they don't comment then mention that. So remember, show your parents that you can be trusted. But also communicate to them, try to compromise and see how they feel, what you can do to be trusted. And also be honest with yourself, do you want the freedom back so that you can return to old ways or so that you can begin focusing more on life ? For some parents it takes longer to trust again, for others it goes quicker. But be patient, work hard and show that you can be trusted. In the end you need to eat the food anyway. And if they are commenting on ED behaviour such as eating too slow, leaving food on the plate etc, then ask yourself why it bothers you.... If it is a normal behaviour it shouldn't bother you so much,but if you want your freedom so much just so that you can eat slowly and leave food on the plate then how healthy is that? But of course..... If you are beginning to listen to your body and your signals then there might be times you are too full to finish your meal, but it still shouldn't be a huge deal if you are made to finish your meal anyway... you will just feel a little extra full. I really don`t know which is worse, what you have written about in your post or the fact that some one doesn't even appear to have noticed if you have eaten or not and makes no comment/questions on how you are doing or anything about your meal plan! 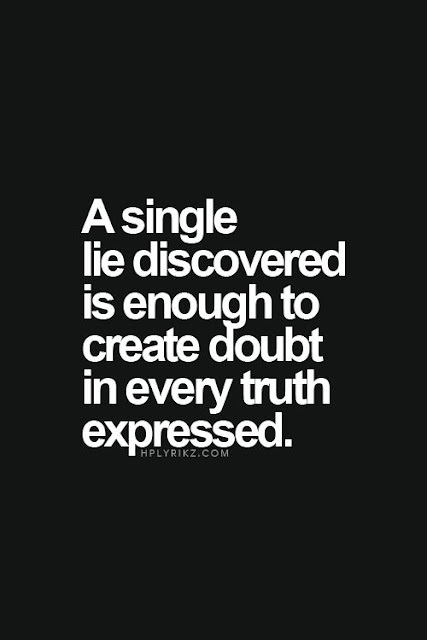 That is where I am at the moment, whether my partner just isn't interested or whether he`s deliberately chosen not to say anything because hes assuming everything is going ok I`m not sure ....but if I`m honest a little "hows it going?" would be nice now and again. I wouldn't want him checking up on me to make sure I`ve eaten all my meals but at the same time a little encouragement that I`m doing the right thing would be nice. May be its just a man thing? who knows. I guess its the ol communication thing isn't it - but sometimes I feel I shouldn't have to say these things, he should just know! Thankyou both for your replies, I`ll pick my moment when he isn't tired or stressed out from work and have a chat - maybe go for a nice walk at the weekend, that always inspires conversation, change of scene and surroundings. You`re right about what you said about your mum asking you, if she asked it wss wrong and if she didn't it was wrong....its finding the happy medium isn't it. I also agree that's its a full time focus for me and not for him, I hadn't thought of it like that. Maybe I`m being a little hard on him. Good luck carol! I used to feel the same way about my partner, that he should just *know*... I have learned that this is an unrealistic expectation. I used to think that everyone thought similar things and in similar ways. This is so NOT how it is though, lol. Everyone has different thought processes, and perceptions of the same event can vary wildly. My boyfriend views the world MUCH differently than I do, like shockingly different. And if I don't actually take the step of explaining just how I feel, and just what I need, then he really has no way of knowing anything at all. The fact that he knows about my struggles does not mean he knows what I feel or think. I need to clearly tell him those things. Ever since I realized this - that nobody reads minds, and the only way to get my needs met is to clearly state what they are - my life and relationships have improved dramatically. I no longer feel disappointed or let down by others, or resentful of them for not "getting it". I feel better about myself for being clear and assertive with others. Good luck with your boyfriend, improving communication can be intimidating at first but it ALWAYS makes things better. I really enjoy your comments here, too :) Now, I hope this posts as a response to you and not just as another comment, I can't seem to make my comments behave here lol. And, of course. It didn't post as a reply. Anyway, carol, the above was for you! Thankyou so much for this - you make perfect sense and I fully take your advice on board. I realise now that I`m not making my feelings clear, so of course he`s not going to just "get it" is he? I think what the problem is that we are "on the same page" for so many things that I just automatically assumed, but I can see now that it was wrong and unrealistic for me to assume that he would get this too. I`ll talk to him over the weekend, a good chat always puts us in a better place.